It’s that time of the week again, update day. And for me it’s a nice break from reading about cephalopods. So, let’s get onto the update, shall we? JnE chapter 8 is currently being worked on. We have JnE chapter 9 raws and the translation is under way. Release schedule is safe for a while longer. Everything else will be out when it’s out, as usual. It all depends on me being able to actually scrounge up some free time. And with that taken care of, let’s go talk about something entirely unrelated. 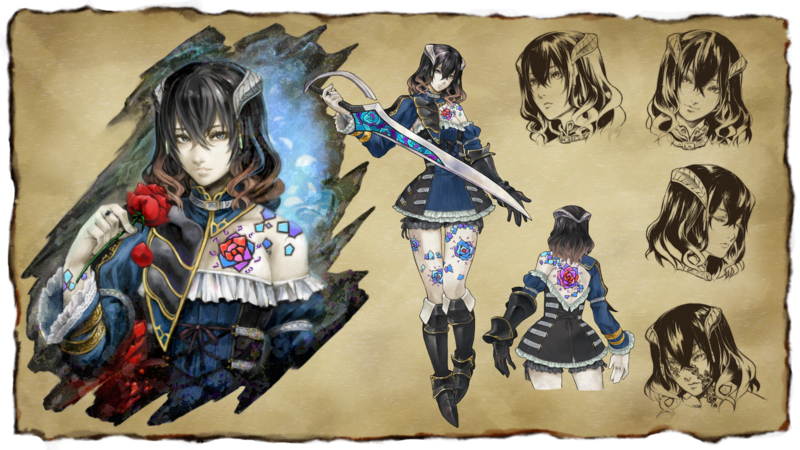 And what better to talk about than Igarashi Koji’s new “Igavania” game, Bloodstained: Ritual of the Night. As of writing this, the Kickstarter campaign has been up for less than half a day and it’s already met its funding goal of $500,000 and has already broken its second stretch goal ($700,000), and for good reason too. This title promises to give us something I think a lot of us have wanted for years, a spiritual successor to the metroidvania Castlevania games. Instead of going on I’ll just drop the Kickstarter and Twitter links here and leave you with this.